When travelling to Hrodna at the end of January, a group of tourists ended up saving a unique historical museum: the Yanush Parulis Museum in Hrodna was only able to survive financially thanks to local activism and a media campaign. Whereas neighbouring Poland announces a 9.5 per cent budget increase on culture, Belarus is failing to implement its only state-funded project for national heritage preservation. Instead of cooperating with civil society to preserve important cultural sites, the government prefers to restrict NGO activities and spends money on safety and order. Belarus placed the issue of preservation of cultural heritage on its policy agenda only recently: the first document directly addressing cultural heritage protection appeared only in 2006. In contrast, in Lithuania heritage preservation laws date back to 1992, while in Austria such legislation goes back as far as 200 years. Meanwhile, the Belarusian government only introduced its first modest heritage project in 2011.
International programmes are also pushing Belarus to protect its cultural heritage. In 2015, the Belarusian town of Mstislau became a member of the COMUS project (Community-led Urban Strategies in Historical Towns), which aims to foster active civic participation in heritage preservation. Likewise, UNESCO has designated four world heritage sites in Belarus. Broadening the list of historical places would put more sites under protection. However, the Belarusian government has so far failed to create a comprehensive project for heritage preservation. Over the past years, Belarus has begun to commercialise heritage conservation in such famous tourist sites as Mir Castle. Nevertheless, castles in Kreva and Lubcha survive due to the voluntary work of historians and locals. By liberalising the visa regime, Belarus has a greater chance of benefiting from tourist money, but the government should first focus on effectively preserving heritage sites which could be of interest to tourists. Although Belarusian historical sites often attract tourists, the government has chosen to focus exclusively on castles: in 2011, money was allocated to a programme called ‘Castles of Belarus’ for 2012 to 2018. The programme aims to repair and restore 38 historical sites in Belarus. 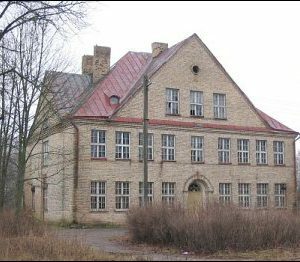 However, while local authorities choose to repair some castles, they also demolish many other historical buildings, as recently happened with two 19th century military buildings in Minsk. ‘Castles of Belarus’ has not received a large enough budget for proper implementation, and only a few castles have benefited from the programme so far. Castles in Kosava, Ružany, and Lida were the first to be renovated, while restoration of many other historical sites, such as Hrodna or Sviack castles, has yet to start. Already in 2015, deputy minister of culture, Aliaksandr Jacko, stated that the project was under-funded and could not go on with the current amount of money. Due to the economic crisis, the Belarusian authorities are not prioritising the preservation of historical heritage. In contrast to the budget for public order and safety, the budget for culture and media has remained very low over the past seven years. In comparison, at the end of 2016 the Polish authorities announced an increase in the culture budget of 9.5 per cent of the GDP. Moreover, the Belarusian authorities put culture, media, and sports all in the same bracket. Historians have expressed concern about the 'Castles of Belarus' programme. For example, Stsiapan Sturejka, a famous anthropologist, told Tvoj Styl that the state is working on restorations without consulting historians or experts. According to Anton Astapovich, the chairman of the Belarusian Voluntary Society for Protection of Historical Monuments and Culture, there is a huge difference between renovation and restoration; the authorities often do not take this into account. While in most neighbouring countries consultation with experts and discussion with locals prior to restoration is a requirement, in Belarus the authorities prefer to skip this crucial step. According to Astapovich, only those sites which the authorities consider to be historically valuable are safe from demolition. Local authorities are prone to decide whether particular sites should disappear without historians' input. The state should discuss each restoration project with experts and citizens, as in Poland. Heritage protection: the business of society? 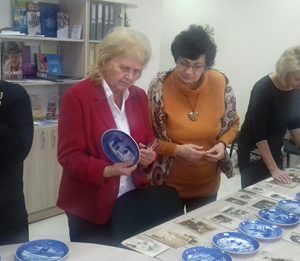 Thus far, conservation of historical and cultural heritage in Belarus has mostly been the business of enthusiasts. In 2016, the streets of Minsk received historical names. Shortly after, historians in Hrodna initiated a similar project, which started on 15 February. Due to the initiatives of local activists, some historical sites continue to function. The Yanush Parulis Museum in Hrodna was in jeopardy, as the owner could no longer afford to pay the rent. However, it was able to survive into 2017 thanks to the media and a campaign organised by locals. Media coverage allowed the owner to attract tourists, who are now visiting the museum more and more. Some initiatives aim to solve a legislative deficiency which significantly complicates the monitoring of the renovation of historical objects. The Belarusian Voluntary Society for Protection of Historical Monuments and Culture continuously fights against demolishment of historical buildings. Several weeks ago, they sent an appeal to the parliament with a proposal to enhance legislation on renovation of historical sites. International projects also aim to support heritage protection, although the scope of such projects is small. The Ambassadors Fund for Cultural Preservation organises an annual competition for projects aimed at improving heritage sites. At the end of each year, however, the fund is only able to support a few heritage-related projects. Conservation of historical heritage should not only be left to volunteers. The government finances heritage protection poorly. Civil society does not possess the resources to conduct such projects without governmental support. Additionally, NGO initiatives are constrained by legislation requiring registration of international funds. Consequently, many historical sites are left to citizens or volunteer groups. The Belarusian government itself is does little to protect heritage, but it is not willing to allow civil society to be part of the solution. Authorities try to save money on heritage preservation, limiting the budget only to 0.9 per cent of GDP. At the same time, they ignore suggestions to organise public hearings or expert consultations about renovations or demolition. Grassroots initiatives over the last year demonstrate the ability on behalf of civil society to achieve goals. By opening up space for conservation initiatives, the state delegates more functions to civil society, thus empowering citizens. Instead of dividing responsibility for culture heritage, civil society and the government could unite forces to create an effective heritage conservation programme. SYMPA releases a social advertising video on corruption in public procurement. REP independent trade union starts appealing electronic and written signatures to abolish the decree on freeloaders. Media release new grassroots leaders’ stories. Belarus in Focus 2016 opens online voting for best article. Informal education courses for elderly kick off in Homiel. Sakavitskiya Sustrechy invite volunteers. On 4-5 March, Sakavitskiya Sustrechy/March Meetings of Belarusian CSOs will take place in Minsk. The forum will focus on the participation of CSOs and citizens in the local communities’ development and gather over 150 practitioners from around the country. The organisers – Office of European Expertise and Communications (OEEC) and New Eurasia – invite volunteers to help during the event. Grassroots leaders’ stories. OEEC together with media CityDog.by, 34mag.net, Zautra.by, Imena magazine and platform Talaka.by continues a series of publications about active people who change the life of their communities. The recent stories tell about Falanster youth NGO that motivates IT-specialists to work for free for non-profit initiatives and a photographer from Braslaŭ who triggered a wave of activism in his native town. The City-2 calls for fellows. The City-2 is a continuation of the City project, implemented by the Centre for Cultural Management last year: the project presents civic activism in an attractive, inspiring manner of a professional reality show and motivates a wider audience to be active in community life. Grand Prix is a thematic study visit to Brazil. Deadline for applications is February 28. Corruption in public procurement in Belarus. School of Young Managers in Public Administration (SYMPA) released a video that demonstrates how much Belarusians could make out of the money stolen in public procurement in Belarus yearly. The video calls to stop the corruption and join watchdogging public finances at koshturada.by and public procurement at opentenders.by websites. Human Rights Situation in Belarus in 2016. According to Human Rights Centre Viasna's annual review, the year saw a continuation of the policy of ‘soft practices’, which began in August 2015, as the authorities kept abstaining from detention of protesters. At the same time, the year was marked by a nearly sevenfold boost in the number of cases when citizens were fined for exercising freedom of peaceful assembly and expression, as compared to the previous year. The Second Annual London Conference on Belarusian Studies will take place on 25 February. It is organised by the UCL School of Slavic and Eastern European Studies, the Ostrogorski Centre and the Belarusian Francis Skaryna Library and Museum. The speakers from Belarus, the United Kingdom, Japan, Germany, the US and other countries will come to London to present and discuss Belarus-related research. Congress calls for sections. The 7th International Congress of Belarusian Studies announces a call for sections (panels). The Congress that will take place on 15-17 September 2017 in Warsaw is the most representative annual academic event, which unites all major centres of research on politics, society, and culture of Belarus. Application deadline is 10 March 2017. Intellectual club by Svetlana Aleksievich presents its next guest Rūta Vanagaitė, a Lithuanian writer. The lecture will be held on 2 March at the Embassy of Lithuania; around 150 people will be invited to attend. Meanwhile, TUT.by posted the record of the 2nd meeting of the Nobel laureate, Svetlana Aleksievich Club with the participation of the Russian journalist Stanislav Belkovsky. For the abolition of the decree on freeloaders. On 1 February REP independent trade union started appealing electronic and written signatures to the state bodies for the abolition of the decree "On Freeloaders" that provides unemployed Belarusians to pay an annual tax of $190. The topic is also actively discussed by other civic and political forces: Dzeya initiative provides legal consulting, Havary Praudu campaign holds a freeloaders’ meeting in February, UCPB and BSDP – street protests. Working group on the improvement of the foreign gratuitous aid legislation established. It happened in late January at a meeting of CSO Council at the Department of Humanitarian Affairs. The group will develop proposals on improvement of the legislation on foreign gratuitous aid. Imena magazine launches a new crowdfunding campaign. The goal is to collect around $90K to provide the annual magazine activity. Launched in 2016, Imena is the first Belarusian public media that exists only due to the readers' donations. The magazine tells about people in need and helps raise money and attract volunteers to address social problems. Belarus in Focus 2016: Online voting for the best article. Belarus in Focus 2016 – a contest for journalists writing about Belarus – announce the start of the online voting for the best article by the readers. The texts of the nominees are available on the contest page. The author that will receive the most votes will be awarded a valuable prize. Golden Age University launched in Homiel. From early January, the Regional Resource Centre in Homiel hosts classes for Homiel seniors of 55+ years old. The most demanded skills among the pensioners are computer and mobile literacy, knowledge about non-traditional approaches to health as well as history and art. Such non-formal Universities for seniors are organised in Hrodna, Viciebsk and Minsk. TechMinsk International Accelerator invites participants. TechMinsk the first International Entrepreneurship School in Belarus. TechMinsk prepares the next generation of global entrepreneurs and changemakers from Eastern Europe and helps them build rapid high growth companies and go global. The School is paid. Deadline for applications is 10 February.